The Spokane Chiefs (28-17-2-4) hit the ice the night after a dominant 8-3 home victory as they take on the Kootenay ICE (11-34-7-1). 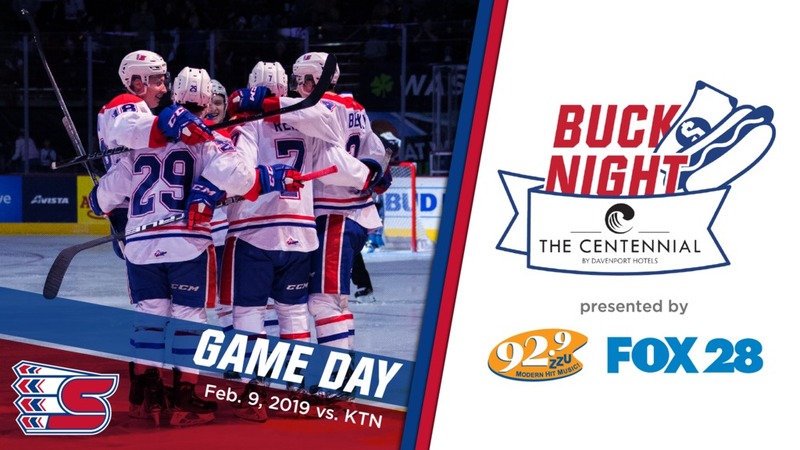 It will be Centennial Hotel Buck Night meaning fans can purchase $1 hot dogs and Coca-Cola beverages at various concession stands throughout the concourse. Fans will also be invited to stick around following the game to obtain signatures from some of their favorite Chiefs players at the the Itron Postgame Autograph Session!